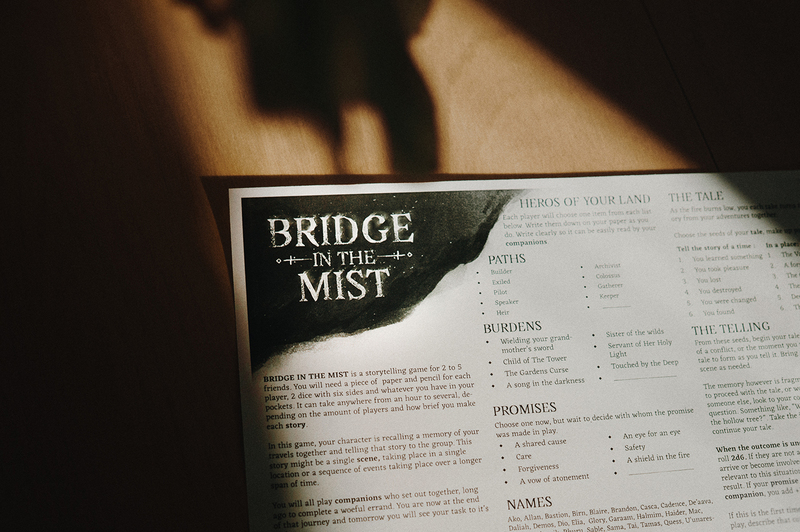 BRIDGE IN THE MIST is a tabletop storytelling game for 2 to 5 friends. 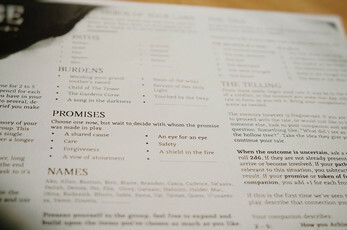 You will all play companions who set out together, long ago to complete a woeful errand. You are now at the end of that journey and tomorrow you will see your task to it’s end. As the fire burns low, you each take turns recalling a memory from your adventures together. Tell tales of your characters exploits and how they worked together with their companions, building close friendships or fierce rivalries. 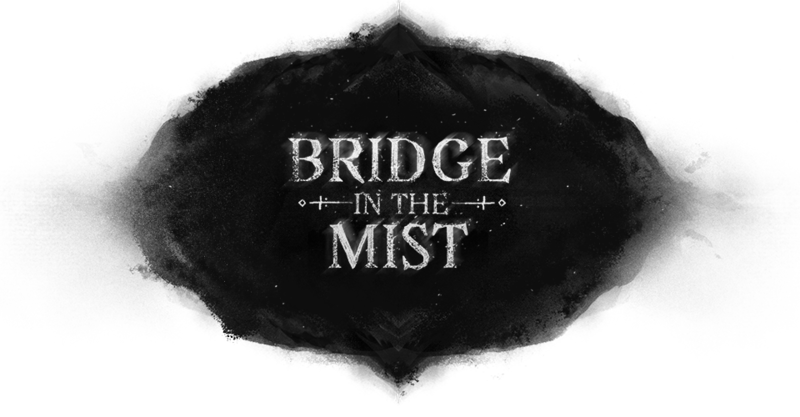 It can take anywhere from an hour to several, depending on the amount of players and how brief you make each story.